Conservation Framing is a method of framing that requires the best available materials and techniques to frame an object or artwork to protect and maintain it in its original state. 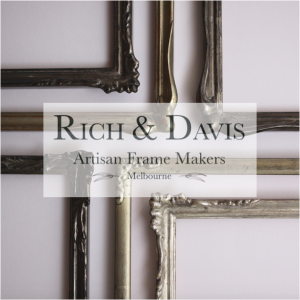 Sophie Brown Conservation Framing is now the exclusive distributor for Rich & Davis Artisan Frames. When is a frame much more than a frame? What does ‘preservation framing’ offer that ordinary framing does not? There is a world of difference between the two. Visit our new showroom and dedicated consulting space. We provide a peaceful atmosphere in which to view our latest samples of moulding finishes and mountboards.